A friendly competition between two teams resulted in this week's burger selection... and Green Bay takes the prize! 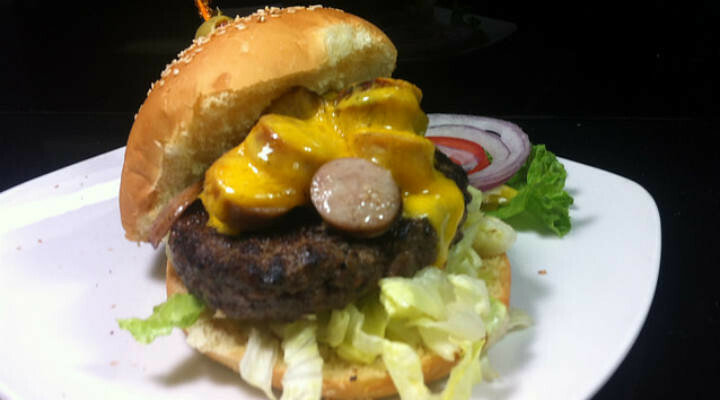 In honor of their triumph, we present our traditional burger with fried cheddar curds, sliced bratwurst and a smearing of cheddar. No matter who you root for, this burger wins hands down!